I love carrying out facials using the Neal Yard products. They give a great sense of wellness for mind body and spirit – both for me and my client. A simple explanation of holistic is “dealing with or treating the whole of something or someone and not just a part”. For me, who has always wanted to save the world and everything in it, this is my offering to help heal whoever is on my couch by using products that are gentle on the environment as well as your skin, and incorporating your senses of smell, touch and sound to soothe your mind and help you relax. Kansa is a Sanskrit word. The ‘wand’ looks like a pestle that you may find in your kitchen for grinding spices. What is special about the wand (and why you wouldn’t get the same effect with your kitchen pestle) is that the dome is made of an alloy of copper and tin, known in the West as bronze. Bronze was the first metal alloy. Kansa, or bronze, revolutionized the ancient world in many ways, sadly many of those ways were involving weapons and armour. Yet Kansa is considered to be the healing metal of Ayurveda, the Science of Health and Longevity practiced throughout the East. The Kansa massage tool or 'wand’ is a copper dome set upon a hand carved handle that just makes you want to pick it up and use it. The wands (they do come in different sizes) are used to achieve healing, relaxation and stress relief on the face, feet, head, neck and shoulders. 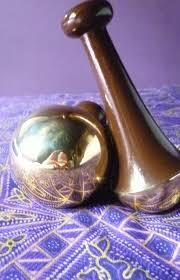 Including the Kansa wand in my facial treatments helps to tone, tighten and firm the skin. It can plump out wrinkles because the massage action unkinks the collagen layers, and helps with congestion in the skin or deeper in the face, such as the sinuses and calms inflammation, redness and heat, normalizing skin tones and helping the skin become fresh and clear. By improving your circulation your skin is better cleansed and nourished. The side effects of trying a Kansa holistic facial might be a pleasurable sensation which calms the whole nervous system, with soothing effects on mild pains, relaxation of the whole body and a calm mind so you feel clearer and are able to rest and destress! I offer single sessions for facials and also back, neck and scalp treatments. Discounts and bigger healing benefits are available with a pre-booked course of 4 sessions.